Toyota, a Japanese auto giant had launched Innova Crysta on May 16, 2016. It’s upgraded Design, Features, Technology, Key-safety features, Interior & exterior modifications made it still stand in its position. Innova Crysta is made available in 2 grades with an automatic transmission (Zx & Gx) and 4 grades with manual transmission (Zx, Vx, Gx & G). Innova Crysta for the first time came up with the unique engine variants 2.8 and 2.4 litre diesel engine. The Design and features made it way more attractive and it still remains a trademark in 2018 with Elegant New Grill, Automatic LED Projector HeadLamps, Premium Design Smart Entry Key, Chrome Window Lining, Back Door Easy Closer, Start and Stop Button, Premium Leather Seats, Foldable seat Back Table with Cup Holder and many more to say. Extremely powerful with Powerful New Diesel Engine, New Petrol engine, Eco and Power drive Mode. High standard safety is provided with Hill-Start Assist System, Vehicle Stability Control, Goa Body. With these upgrades and specifications, Innova has become most demanding car even in 2018. 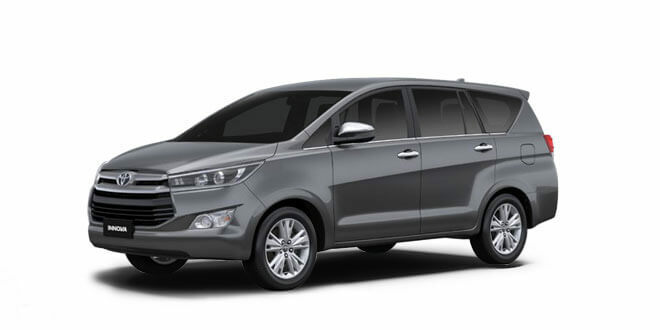 Toyota also came up with the other variant Innova Touring Sport, especially for enthusiastic adventurous people who are ready to sport, it highly concentrated on safety by providing 7 SRS AirBags. 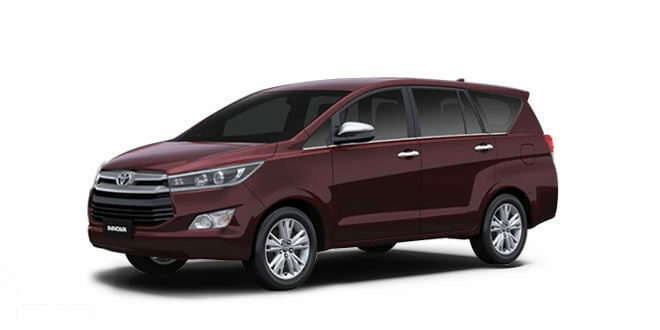 Let us now look for the existing color variants for Innova Crystal and Innova Touring Sport. 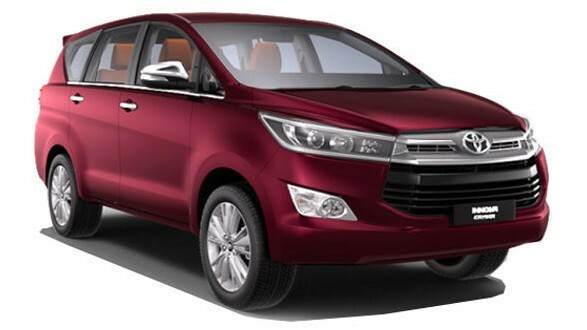 Check out the Innova Crysta in the Garnet Red Color variant which gives classy and distinct look among Six 2018 Innova Colors. Above is the photo of 2018 Crysta in Garnet Red Color Variant. 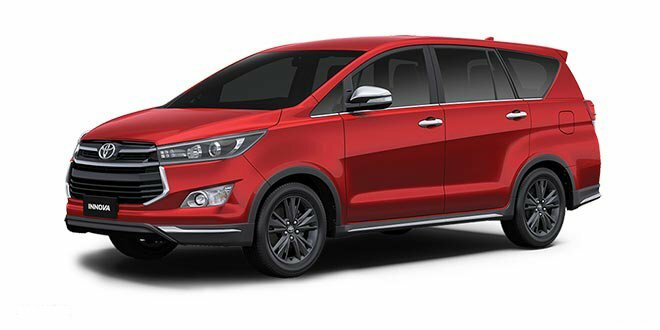 2018 Innova Crysta is made available in Red Color (Garnet Red). Here is the Innova Crysta in the Avant-Garde Bronze Color variant which avoids the risk of cleaning. Above is the photo of 2018 Crysta in Avant-Garde Bronze Color Variant. 2018 Innova Crysta is made available in Bronze Color (Avant-Garde Bronze). Looking for rich pleasant color? Here you go, Innova Crysta in the White Pearl Crystal Shine Color variant. Above is the photo of 2018 Crysta in White Pearl Crystal Shine Color Variant. 2018 Innova Crysta is made available in White Color (White Pearl Crystal Shine). Find out the Innova Crysta in the Grey Color variant for the ravishing look ever. Above is the photo of 2018 Crysta in Grey Color Variant. 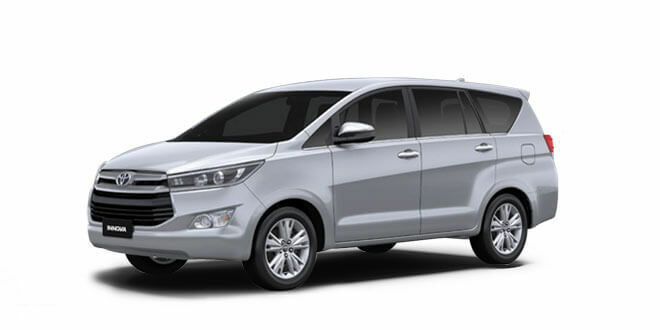 2018 Innova Crysta is made available in Grey Color. Find out the Innova Crysta in the Silver Color variant for the glossy shiny look. Above is the photo of 2018 Crysta in Silver Color Variant. 2018 Innova Crysta is made available in Silver Color. Find out the Innova Crysta in the Super White Color variant which keeps you simply Cool. Above is the photo of 2018 Crysta in Super White Color Variant. 2018 Innova Crysta is made available in Super White Color. Get Wild and Sports mode on. Innova Touring Sport in the WildFire Color variant. Above is the photo of 2018 Touring Sport in WildFire Color Variant. 2018 Innova Crysta is made available in WildFire Color. White Pearl Crystal Shine made available for both Crystal and Touring Sport. Innova Touring Sport in the White Pearl Crystal Shine Color variant. Above is the photo of 2018 Touring Sport in White Pearl Crystal Shine Color Variant. 2018 Innova Crysta is made available in White Color (White Pearl Crystal Shine). Comment us below, your color preference for Innova Crysta and Touring Sport.